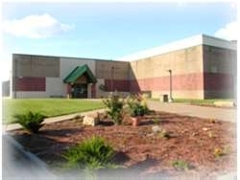 KC Ice Center is located on Johnson Drive in Shawnee, Kansas, midway between Hwy K7 and I-435, across from the Mid-America Sports Complex. From the North: I-70 West to I-435 South. South on I-435 to Johnson Dr. exit. Turn right (west) on Johnson Dr. Follow Johnson Dr. approx. 1.5 miles to arena on the right. From the South: I-435 West becomes I-435 North. North on I-435 to Johnson Dr. exit. Turn right (west) on Johnson Dr. Follow Johnson Dr. approx. 1.5 miles to arena on the right. From the East: I-70 West to Rt. 7 South. South on Rt. 7 to Johnson Dr. Turn left (east) on Johnson Dr. Follow Johnson Dr. approx. 1.5 miles to arena on the left. From the West: I-70 East to Rt. 7 South. South on Rt. 7 to Johnson Dr. Turn left (east) on Johnson Dr. Follow Johnson Dr. approx. 1.5 miles to arena on the left. KC Ice Center features an NHL-sized (200' x 85') rink with seating for 800 spectators and on-premise parking for approximately 300 cars. There are a total of 7 team locker rooms as well as an Officials room within the facility.